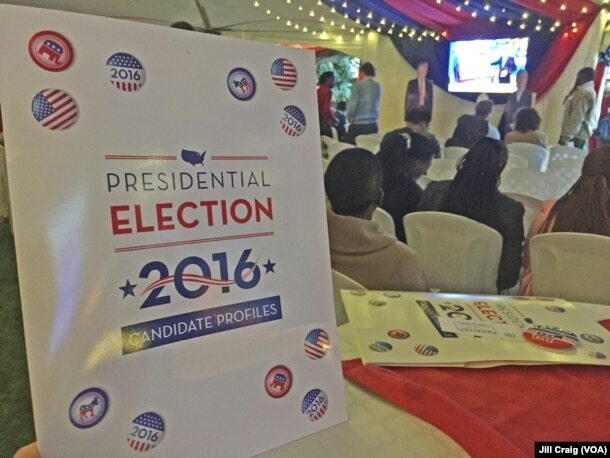 NAIROBI — Feelings about Donald Trump’s U.S. election win are mixed in Africa. In Kenya, where President Barack Obama has familial roots, many were hoping Hillary Clinton could carry on his legacy, but were prepared for disappointment. 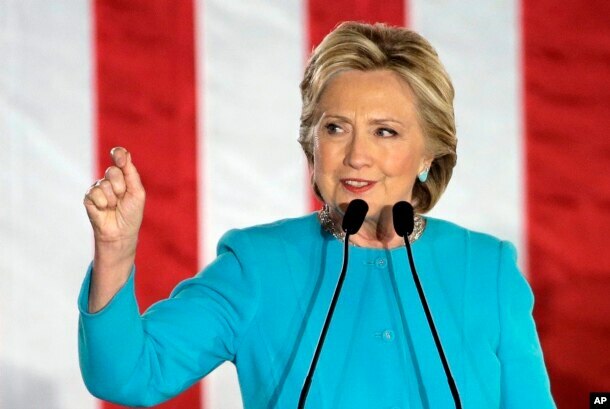 Democratic presidential candidate Hillary Clinton speaks during a campaign rally, Nov. 6, 2016, in Manchester, N.H.
Sara Asafu-Adjaye, a Ghanaian social activist, says she would have loved to have seen the first female U.S. president. Charles Eboune, an international relations expert in Cameroon, was dismayed Clinton’s decades of experience in Washington was not enough to carry her to victory. “[If] you look at the caliber of the lady who was in front of him in the election and all those who backed her, it was another translation that [the] majority is not always right,” said Eboune. Now, Africans have to adjust to the fact that a president with a very different style and priorities from both Obama and Clinton is going to take office. More than a few Africans are worried about the policy changes Trump may implement. 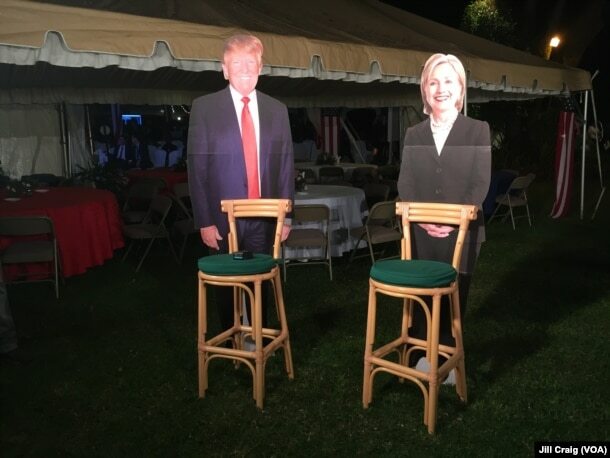 Cardboard cutouts of both candidates on display during a breakfast at the home of U.S. ambassador in Nairobi, Kenya. But an administrative worker in Dakar tries to remain optimistic about America’s choice of president. 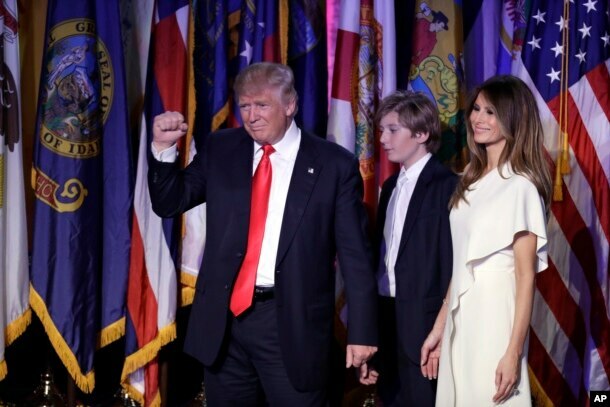 President-elect Donald Trump pumps his fist after giving his acceptance speech as his wife Melania Trump, right, and their son Barron Trump follow him during his election night rally, Nov. 9, 2016, in New York. Keith Benon Robe was active in Uganda’s opposition during his country’s presidential elections earlier this year. He says he is excited because he believes Trump will stand up to Africa’s dictators. The fact that Trump was legitimately elected was not lost on some Africans, who have seen many rigged or suspect elections in their time. Stanley, a history teacher at the Institut Supérieur Pédagogique de la Gombe in Kinshasa who preferred not to give his last name, says that regardless of winner, the American election cycle sets a good example for other countries. “The lessons which I draw as a Congolese citizen, as an African, is that it’s a handover of power, clear and clean, without problem. Mrs. Clinton has even called Trump to congratulate him,” said Stanley. Guests attend an election results watch breakfast at the home of U.S. Ambassador Robert Godec in Nairobi, Kenya, Nov. 9, 2016. African leaders and politicians in Kenya, South Africa, Uganda, Tanzania, Burundi, the Democratic Republic on Congo and Somalia, to name a few, have already sent or tweeted messages to Trump, congratulating him on his victory. Malik Obama, President Obama’s half-brother, has also congratulated Trump. 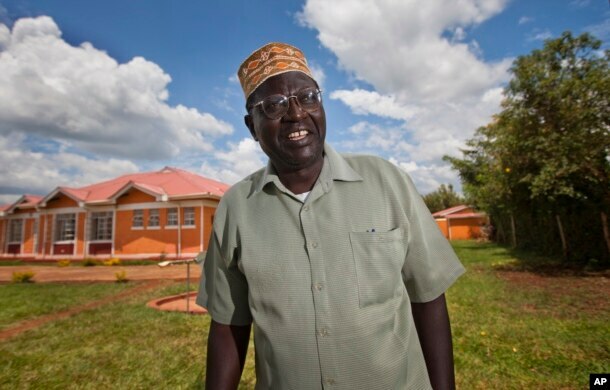 FILE – Malik Obama, half-brother of President Barack Obama, seen in a Nov. 4, 2012 photo. Thuso Khumalo reported from Johannesburg. Lizabeth Paulat reported from Kampala. William Clowes reported from Kinshasa. Emilie Iob reported from Abidjan. Ricci Shryock reported from Dakar. Moki Edwin Kindzeka reported from Cameroon. Francisca Kakra Forson reported from Accra.